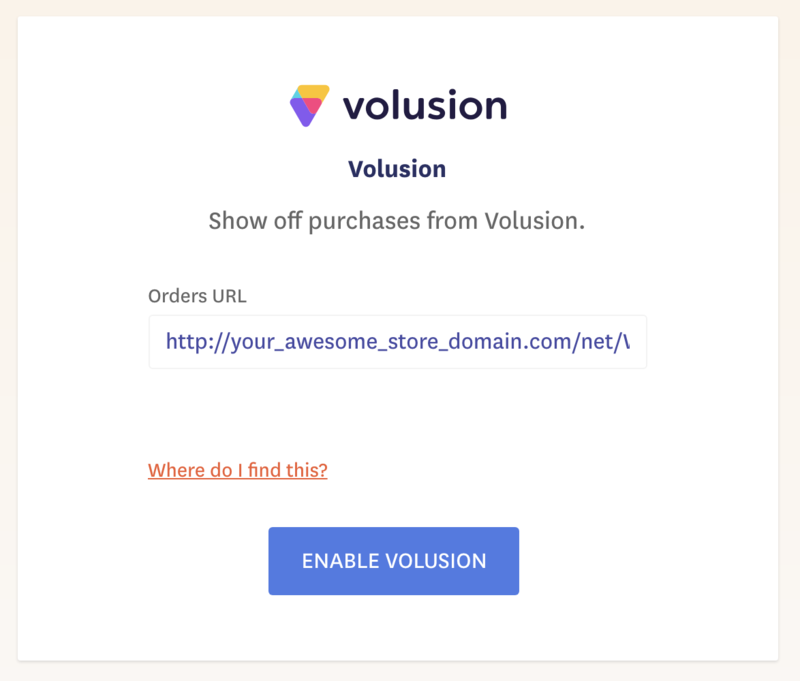 Volusion is one of the larger ecommerce online store builders that allow you to start selling your products without being a techie at all. Connecting Volusion to your Fomo account takes a few seconds, and requires no coding experience. Sign in to your Volusion store admin panel. 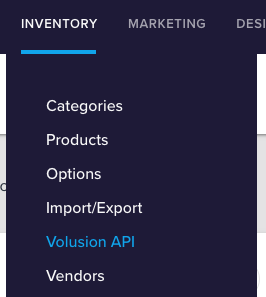 Under Inventory click 'Volusion API'. Now, what we are doing here is asking Volusion to create a URI for us that lets us see all of your recent purchases. So we need to specify what data we need. Click the check box next to all of these items. If you change your Volusion password, this URL will no longer work! If you change your password please re-due step 1 and create a new integration. On Fomo, navigate to the Integrations tab and find Volusion by scrolling down or inputting 'volusion' in the instant search field. Paste in the URL we created, and click ENABLE VOLUSION. Fomo will immediately import recent purchases from Volusion. Going forward, new purchases will also be imported automatically.